Will Phoenix Rise From the Ashes? This post is about a critical turtle. Update. Sadly this turtle did not make it. Above left you can see our most critical patient to date: Pheonix. Lucy is trying to hear the heartbeat through the use of a fetal heart monitor. Above right: the Phoenix from the Jean Grey website. 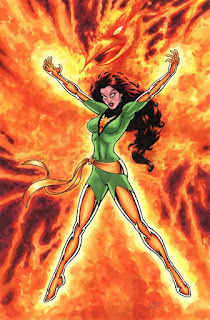 In the comics after Jean Gray "died" she arose as the Phoenix. We have a turtle that when it arrived to us we thought the turtle was dead. 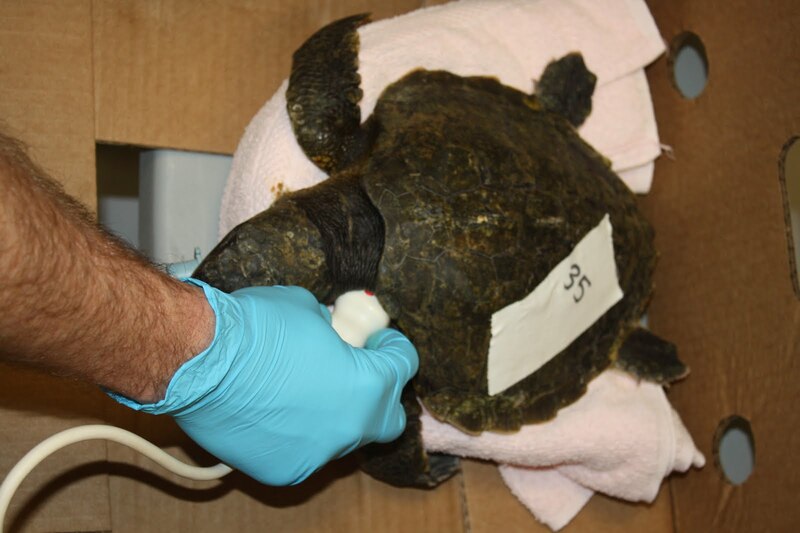 After using an ultrasound to make sure the fate of the turtle we noticed it had a heart rate of ~2 beats per minute. We gave emergency meds including atropine to get the heart rate up and dopram to stimulate breathing. Several times we thought we lost the turtle but it kept coming back. We went through several more rounds of emergency medications then intubated the turtle and put it on a respirator inside of the ICU for the night. 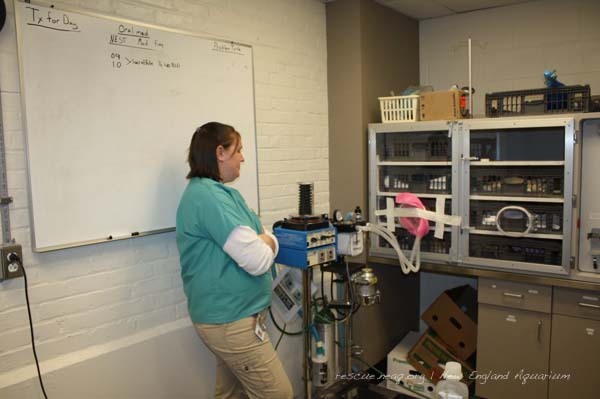 Above: Dr. Cavin monitoring the respirator to make sure the turtle was getting the breaths it needed. The following morning the turtle was still with us, barely. Although the heart rate increased it still was not breathing under it's own power. However, the turtle has become more active defying all odds. Above you can see Dr. Innis trying to find a heart rate using the ultrasound. 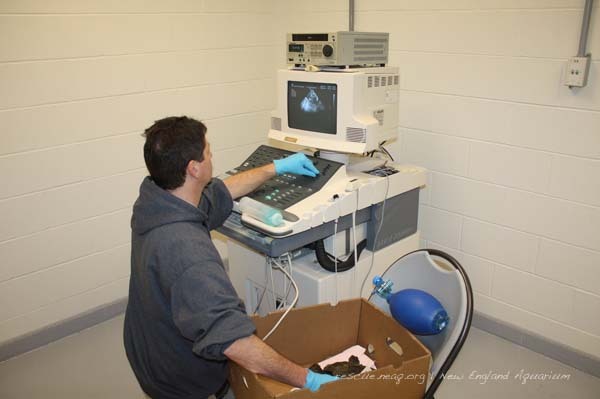 We still couldn't get the heart rate via doppler so we had to again use the ultrasound machine to see the contractions of the atria or ventricle. 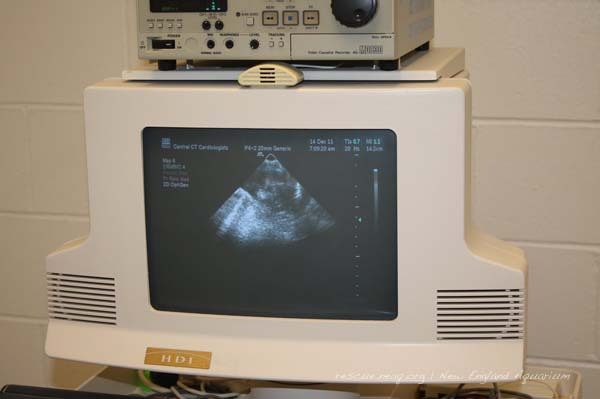 Above: View of the ultrasound screen. As I write this blog the turtle is still with us fighting hard! Heart rate is up to 8 beats per minute we occasionally see the turtle take a small breath. Unfortunately the blood work is still really bad and I don't want to get anyone's hopes up but maybe this could be our miracle turtle. Above: Trying to get reaction from the turtle during this evening's swim. Hopefully the turtle will continue to amaze us! So far, the heroes and villains theme has also named turtles Nightcrawler, Jack O'Lantern, Rorchach and Doomsday. 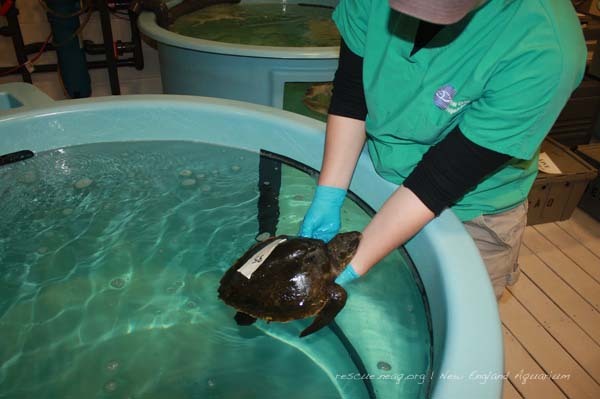 These turtles will be treated until they are well enough for release into the wild, then they will be returned to the ocean in warmer waters. See photos of a recent release in this post. 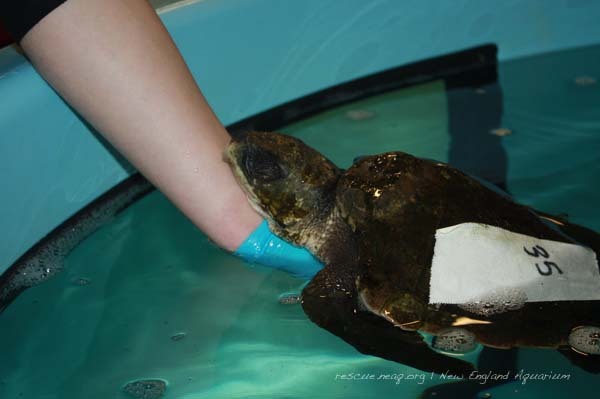 Caring for all the turtles is a big job, and any way you can help is appreciated. Turtle Rescue Stories: X-Turtles United! 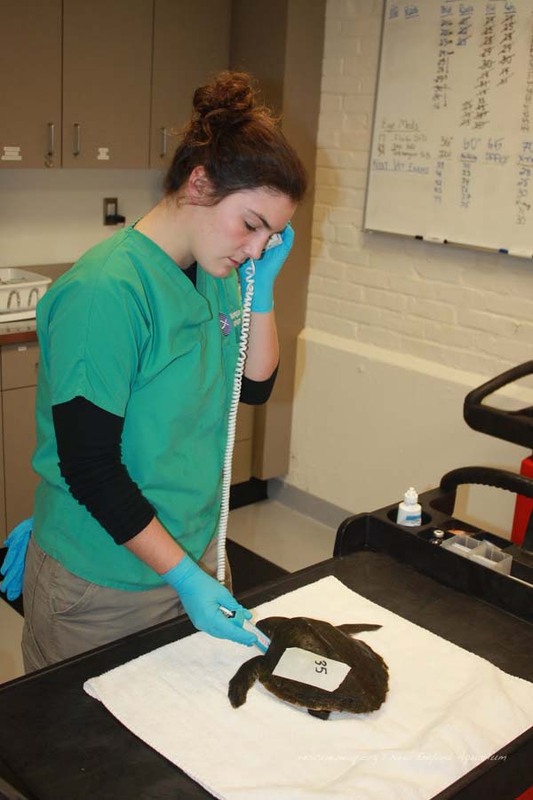 What's happening with the Cold-Stunned turtles? It's Beginning to Look a lot like Turtle Season!